It is important to know that all currencies have been confirmed for a global reset and will soon be enacted for the public to know and be aware of through education programs that are set in place. Pivotal announcements will soon be made where funds will be reimbursed and distributed to each nation of the world to restore balance and eradicate poverty within every aspect and structure of society. These funds will also be used to allow a cancellation of any and all debt owed to the reserve bank by the people and the government’s of the world. All debt will be declared null and void. All the Gold that was stolen and kept in underground bunkers, kept secret by the u.s.a has been returned to its rightful owners which are the ancient Asian Royal Dragon Families. As we proceed unto signatory matters for funds to be released into every major banking institute through the central bank, this will then be made public knowledge to humanity. For now, those who are aware of such account’s will need to keep it under their discretion in terms of claiming any of the funds at local banks. You will be assisted and issued a sufficient payment from these funds to allow for an easier life without worries or stress of money. Then, those focusing on ascension can solely focus on their spiritual growth in elevation, and healing the Earth further as she shifts more into the higher realms. The cabal have lost all power over humanity, in which some will be contained, with some given amnesty. These cabal have attempted, by all means, to stop and block these funds from public knowledge, now being enacted to free humanity from a monetary economic system based on debt slavery. They have sprayed chemtrails in the air to poison humanity and depopulate the earth… starting a chemical nuclear biological war, also attempting in many instances to start a civil war against nations and its peoples. They have failed in all these attempts, indeed. We of the Angelic Realms of the Galactic Council of the Galactic Federation of Light have always been 50 steps ahead. We have planned this under the the Company of Heaven for thousands of years. We were, indeed, well prepared for just about anything they had planned in their own fall and demise. 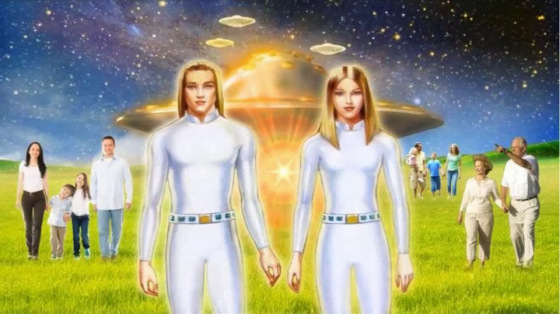 Know that global contact with who we are of the Angelic Realms of the Galactic Council of the Galactic Federation of Light will follow right after announcements of abundance and prosperity distributions through the N.E.S.A.R.A program to the global Earth community of surface humanity. We stay positioned with over 2050.000.000 star ships prepared for decloaking in this now moment. The inner Earth inhabitants will commence to reintroduce themselves to the surface world. Many accounts will be shared with humanity on this auspicious Event of the Ages where many goverments are preparing for shut down in this Now. You will notice many high profile officials being arrested; and many of them declaring resignations of seat from their positions of power, including high court judges and those of Congress. All wars in the Middle East, South and North Africa will soon cease, in effect, as all guns, military war machines, marine vessels ect will be disabled All in this Now.